Ralphie had a bit of a scare. He fell into a hole in a wall and couldn’t get out. Thank goodness there was a dog there to alert folks to the rescue. 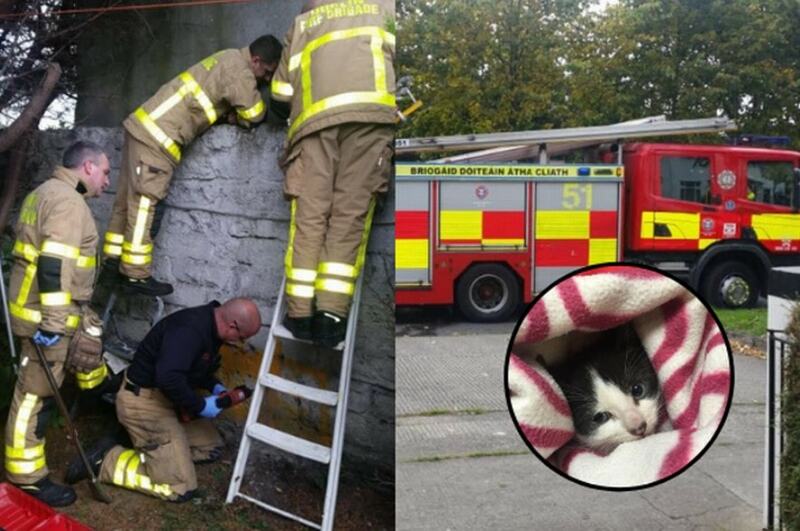 Mac had scented the kitten in the wall and true to his heroic form, caught the attention of his owner who called upon North Dublin Cat Rescue for help. 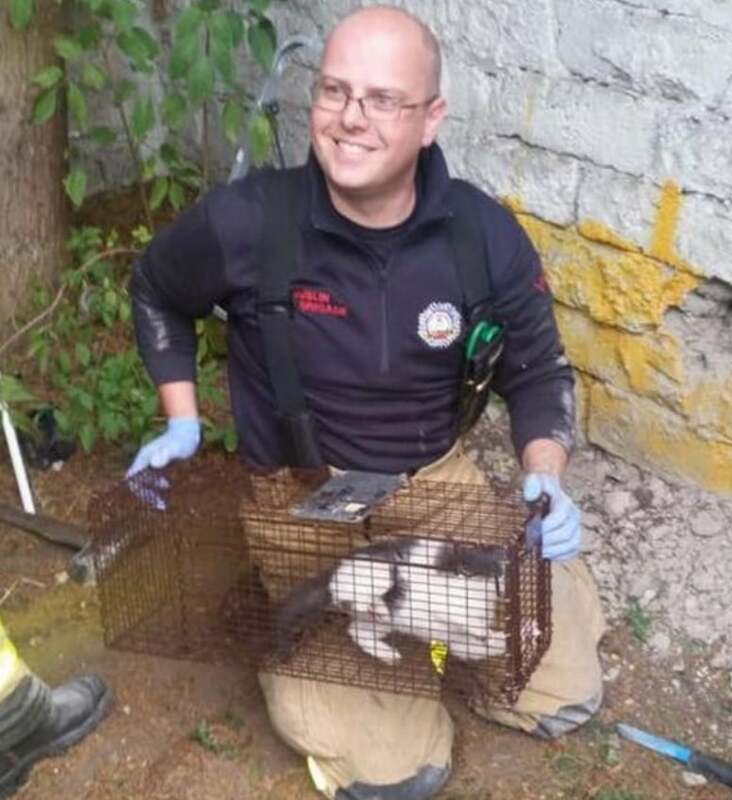 The organization assessed it was going to take a bit more to get poor Ralphie out of his predicament and reached out to The Dublin Fire Brigade. 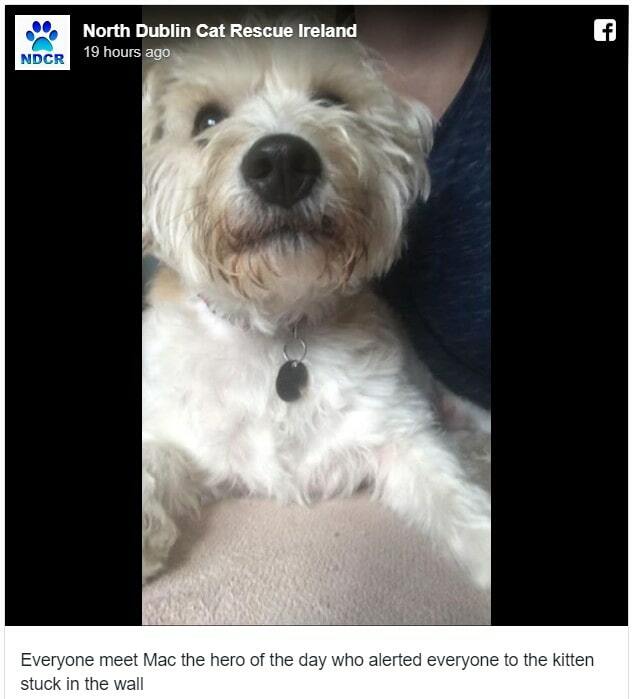 Those sentiments were echoed by North Dublin Cat Rescue on Facebook. The organization was particularly enamored with Mac’s part in the rescue. 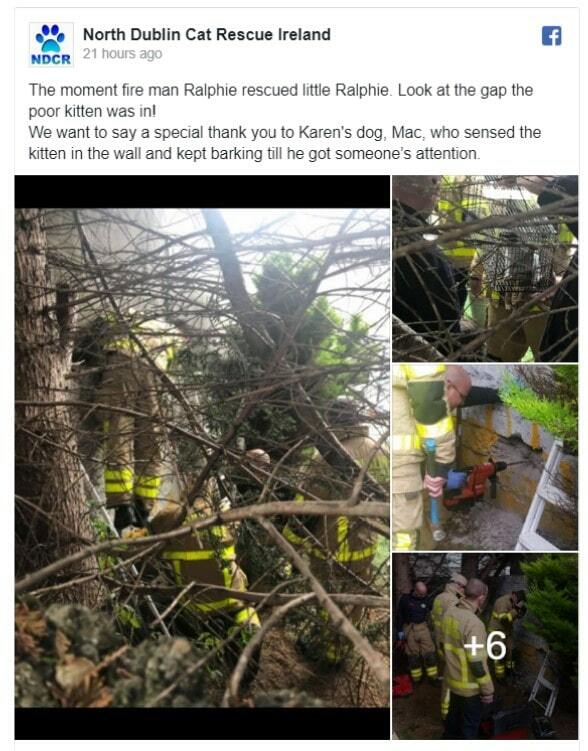 “Ralphie is out of the wall guys safe now thanks to all the lads in finglas fire station for all their help and quick response,” they wrote. Cats do have a way of getting into and out of things and, in spite of their flexibility, and seemingly endless, say, “nine” lives, it can still go wrong. As pet owners, it is important to pay careful attention to places cats, kittens in particular, might find to be of interest. While more often than not “Felix” may go lost only to be found in the warm pile of clean laundry, at times, more than one pet owner has professed to panicking. Taking a good look at your surroundings and minimizing enticing spaces, will go a long way to keep your cat or kitten safe and your own peace of mind. As to Ralphie, hard to say if he has learned his lesson or not, but good to know the fine folks of Dublin are looking out for their furry four-legged friend. And so, too, are the dogs.